Fungal growth on dogs can cause a myriad of problems. Hot spots, rashes, ringworm, yeast infection, seborrheic dermatitis, and other conditions can cause itching, sores, hair loss, and sometimes this can even lead to infected areas on your dog. First, we’ll share some ways to prevent fungal growth and then help you decide on the best antifungal dog shampoos that can assist with the job. The most important tool against fungal infection is regular coat maintenance. A clean, well-brushed coat isn’t conducive to fungal growth. Second, you should buy the best antifungal dog shampoos possible. Our favorite is BotaniVet’s Organic Manuka Honey Shampoo, which packs the punch of the miracle manuka honey to combat your dog’s ailments. Sometimes, the best defense is a good offense. Using a medicated shampoo or anti-itch shampoo can help offset the issues caused by fungal growth, but preventing it in advance is the key to health and happiness for your dog. Dogs that have long hair and/or double coats can be particularly prone to getting hot spots. Make sure to keep your dog’s coat brushed out. Some pet parents choose to shave dogs down some in the summer. While this may be okay for some breeds, others do not do well if they have a lot of their coat removed. Be sure to check up on what is okay for your breed of dog before shaving them down. A dog bed that is off the ground is less likely to have mold and mildew and it also keeps your dog cooler and their scalp drier. No matter what type of coat they have, an elevated dog bed can help out during the humid and hot months of summer. way for them to get dry a bit faster. skin condition. Coconut oil added to their dog food can help. Coconut oil is a salve for many wounds and great for dogs with allergies. Rubbing coconut oil on your dog’s coat or spraying on lightly can be a great preventative maneuver too. Depending on the severity of the fungal growth, it can also supplant anti-fungal shampoo in your routine as coconut oil is an effective combatant against fungus and dandruff. Warm it up until it is liquid and spritz it on your dog’s coat as needed. A little goes a long way so be careful unless you want a dog that is too oily to love on. Apple cider vinegar is another effective tool to have in your bank of natural ingredients to combat dandruff and fungus growth. It is one of the active ingredients in many no-poo shampoos for dogs and in hypo-allergenic shampoo. What you choose to use on your dog will vary depending upon how severe the infection of fungus is. Some dogs may need the strongest shampoo, while others may be able to get away with a gentler solution. 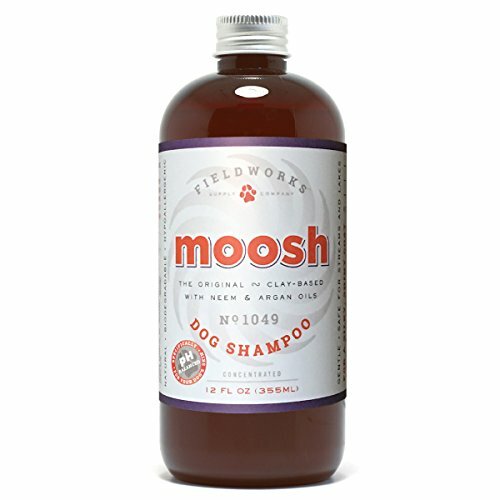 Moosh is a very popular natural and organic dog shampoo that is perfect for sensitive coats and skin. This concentrated formula is gentle yet effective in eliminating bacteria and fungal spores from your dog. There is a reason why this is one of the best-selling natural dog shampoos out there. Shea butter, argan oil, neem, and bentonite act like a skin spa in a bottle for your dog. You do not need an additional conditioner when using this rich and lovely shampoo. should not shave them down unless it is completely necessary. 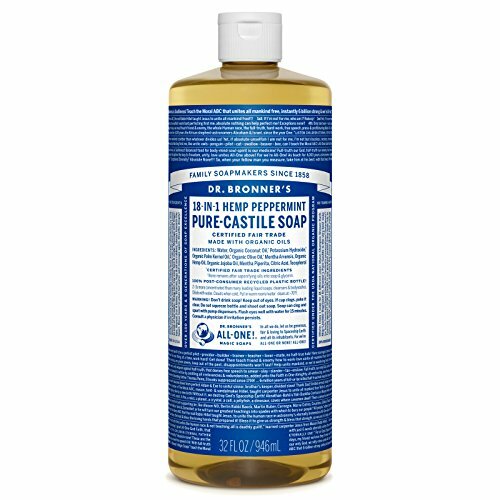 Dr. Bronner's Pure-Castile Liquid Soap – Peppermint 32oz. Tea tree oil and peppermint oil are essential oils known for their skin healing and anti-fungal properties. You could mix the two formulas together in a 50-50 blend to create a very soothing shampoo for your dog. These soaps are very concentrated and may be something you already use sometimes yourself. This is part of the beauty of Dr. Bronner’s soaps; the fact that basically anyone or any animal can use them. It’s important to note that while these have natural ingredients, elements like tea tree oil can cause a reaction in your animal. 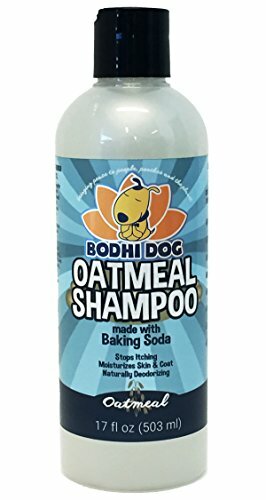 Oatmeal is a naturally soothing ingredient in an anti fungal dog shampoo. This creamy rich formula leaves your dog sparkling clean and prevents some of the most common skin infections. 4-Legger Certified Organic Dog Shampoo with Conditioner – All Natural Cedar Dog Shampoo with Peppermint, Eucalyptus and Aloe for Normal to Dry and Itchy Skin – Concentrated – Non-Toxic – 16 oz. This organic natural dog shampoo contains cedarwood, eucalyptus, peppermint, and aloe essential oils to naturally soothe and treat your dog’s skin. This is a refreshing wash for outdoor baths in the summer when fungus problems can spread rapidly. The soothing formula means you don’t have to worry about coming into contact with it. Of course, really sensitive skin types may find they don’t want the lingering smell on them so in this case gloves might be advised. The complete lack of toxic ingredients means this is a dog shampoo your kids can use to help out with the dog grooming when the time arrives! Unleash the soothing potential of dead sea minerals and natural oils with this spa in a bottle for your pooch. 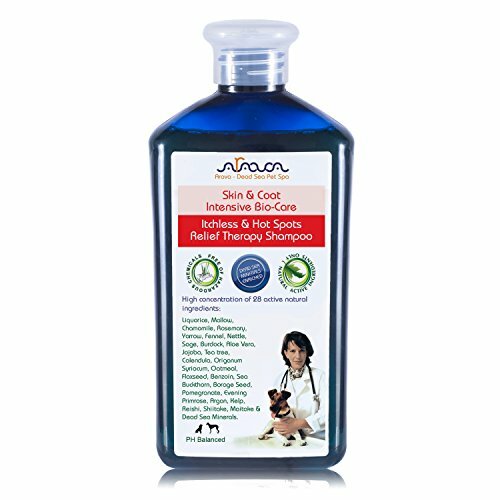 For dogs suffering from major skin issues, you can combine this with other products in the Arava family of pet care products. Their deep seed mud is healing and soothing for painful hot spots and other skin problems. 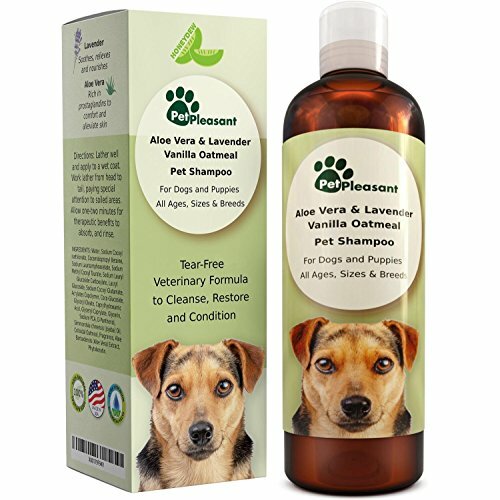 This great smelling antifungal shampoo will make bath time a lot more enjoyable for you and your dog. Vanilla, lavender, and aloe combine with oatmeal for soothing conditioning shampoo experience. For what you get this formula is a bargain for those that want something a bit beyond drugstore dog shampoos. Bodhi Dog is a well-known name in the world of natural pet care products. This shampoo delivers the same level of quality and performance found in all of their products. This formula contains soothing oatmeal and aloe with other natural conditioners for a soft and silky healthy result every time you use it! Botani Vet is USDA Certified Organic and uses the power of Manuka Honey to combat bacteria and fungi before it causes a lot of trouble. This gentle formula is also safe to use on sensitive dogs and puppies. It is hard not to love a shampoo that has ingredients that anyone can read and understand. Coconut oil is also used in this formulation and provides conditioning properties as well as antibacterial and anti-fungal action! This shampoo will never dry out your dog’s skin and their coat will be shiny and gorgeous with regular use. Earthbath is a good budget choice for those that want to take good care of their dog’s skin without the use of harsh ingredients. 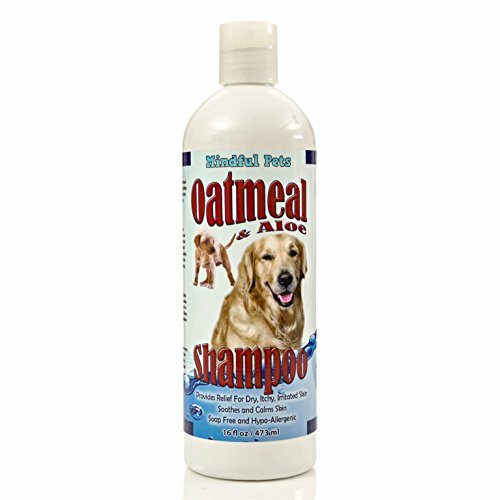 This bottle goes a long way and you can also get a matching conditioner for dogs that have problems with very dry skin or just for when you want the shiniest and silkiest dog possible! Just like any other pet product, quality ingredients cost more than mass-produced chemical-based formulations. Dogs with sensitive skin do not always react so well to cheaper soaps or shampoos and can have allergic reactions or hair loss. Dr. Bronners is one of the less expensive quality options for dog parents but you do need to exercise caution when washing because it is not a tear-free formulation. Washing your dog’s face is best done with a very soft brush or cloth with an additional cloth to rinse away residue. There are also eye wipes and other products that can help out with getting the hard to clean places on your dog. It may take trying out a few shampoos before you find one that you are happy with. If you are unsure about a product then it may be worth it to get it in a smaller size if that is an option. It is better to do this than to have a lot of product that you paid for and cannot use.